Buy gifts online from Hard to Find gifts Australia. Through our website, it's easy to buy stunning sandals from Byron Bay; Paris-designed hot-dog rings and mugs with attitude from England – all through the one checkout and purchase process, all with the support of our dedicated customer service team if anything goes awry. Once you buy from us, the seller will send you your items directly, for that extra personal touch. Some retailers have their own policies and restrictions. 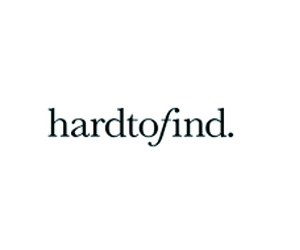 Before shopping, please ensure you review the Special Terms of hardtofind (above) for further information. Complete your purchase in one session and without leaving hardtofind. Do not click on any bookmarks or advertising banners or links once you leave ANZ Bonus Points Mall. The Seller will normally ship the Product within 2 Business Days of Seller’s receipt of your order, unless otherwise noted in the Product description. Any delivery times displayed on the website are estimates only, based on the information provided to the Seller by its shipping company. The Seller will deliver the Product to the place of delivery you specify when making your order. Title to and risk in the Product will pass to you upon delivery of the Product to this place of delivery. All purchase prices include Australian GST (where applicable). You can return or exchange any item, for any reason, within 30 days of receipt. If the item you wish to return is faulty, we will require either photo proof of the faulty item or provide you with a stamped, self-addressed post pack in which to return it to the appropriate seller. You will then be offered a replacement or repair of the faulty item or a full refund or store credit, whichever you prefer. Any refunds will be transferred back to the original payment method, eg. your credit card, PayPal account or store credit. If you change your mind on a purchased item, you will be given a store credit to the same value once the item has been received by the appropriate seller, and any shipping costs incurred will not be refunded. Items that cannot be exchanged or refunded for change of mind include: hardtofind gift vouchers, personalised products, made-to-order furniture, underwear, earrings for pierced ears and food items that have been opened.